Advance Tickets are available from Bartender Scotty in The Upstairs Loft, or at the door during regular business hours, for $8.00 and will be on sale from Monday, October 1st through Wednesday, October 24th. Advance Tickets must be purchased and picked up before Wednesday, October 24th at 12:01 AM. We will not be able to hold tickets at the door on the night of the event, or at any time after October 24th. There will be no Will Call available during the Halloween Country Night Party. Tickets can be purchased at the door on Friday, October 26th for $10.00. 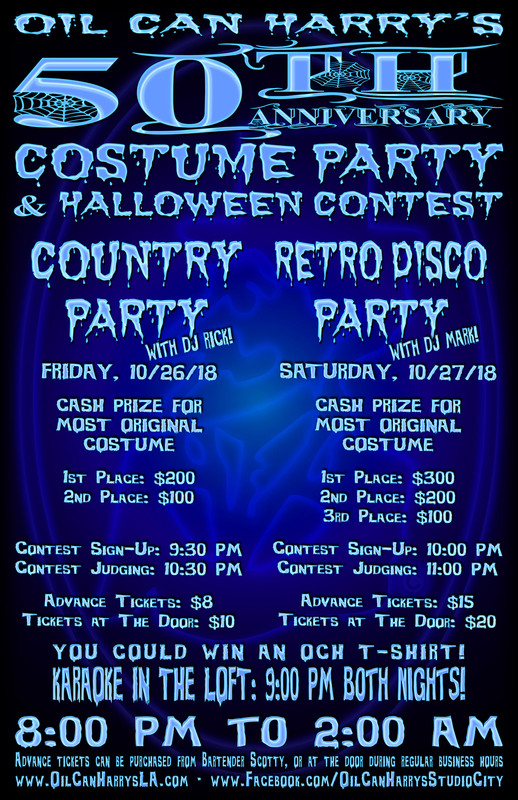 Advance Tickets are available from Bartender Scotty in The Upstairs Loft, or at the door during regular business hours, for $15.00 and will be on sale from Monday, October 1st through Thursday, October 25th. Advance Tickets must be purchased and picked up before Wednesday, October 25th at 12:01 AM. We will not be able to hold tickets at the door on the night of the event, or at any time after October 25th. 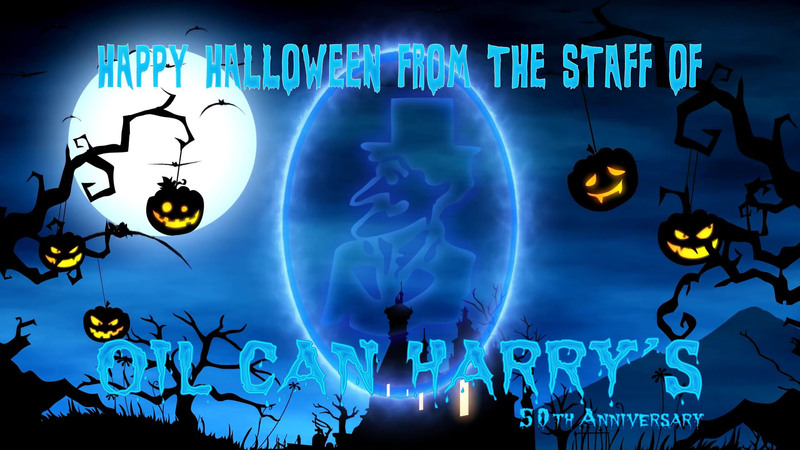 There will be no Will Call available during the Halloween Retro Disco Party. Tickets can be purchased at the door on Saturday, October 27th for $20.00.